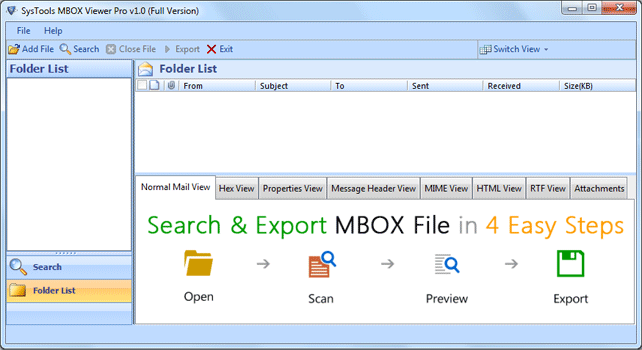 Get an instant preview of MBOX emails via usage of MBOX Email Forensics Tool. Examine MBOX files without having corresponding email clients installed. View and Carve evidence from the MBOX files with the original formatting kept preserved. Supports analysis of all the renowned attachment files such as doc files, images, etc. Downloaded & installed on Windows 10 OS and all its below versions. Forensic on MBOX files created from Gmail, Google Takeout, Thunderbird, Mac Mail. 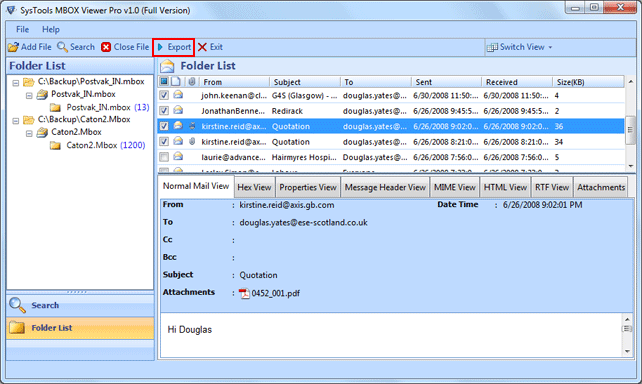 You can preview all the emails present in the MBOX file along with the original formatting. All the emails will be displayed along with their respective properties such as To, From, subject, received date, sent date, etc. 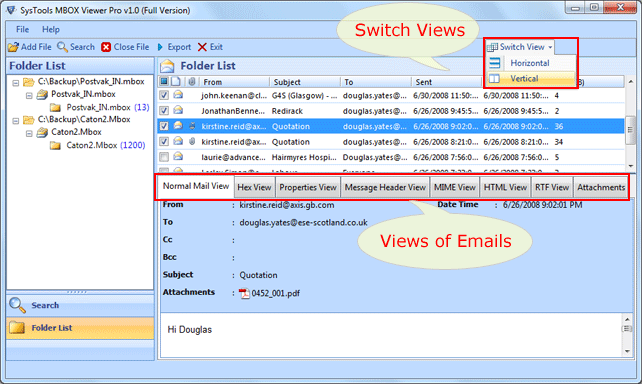 The in-built viewer of the application generates an instant preview of all attachments for all the selected emails present in MBOX file. 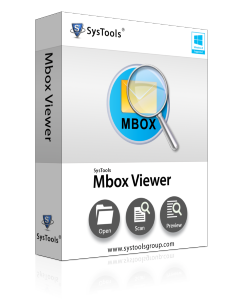 Analyze MBOX file emails along with its related attachment types such as documents, images, .ppt, etc. MBOX Email Forensics Tool executes a thorough scan of every MBOX file and enlists all the emails while maintaining the original folder structure. You will get a preview of the ongoing scanning process with details like file creation date and the corresponding file size. The default view mode of the screen is horizontal. However, one can change the view mode from horizontal to vertical according to their own convenience or requirement. You don't need to install any MBOX files supporting email client on your system in order to view files. 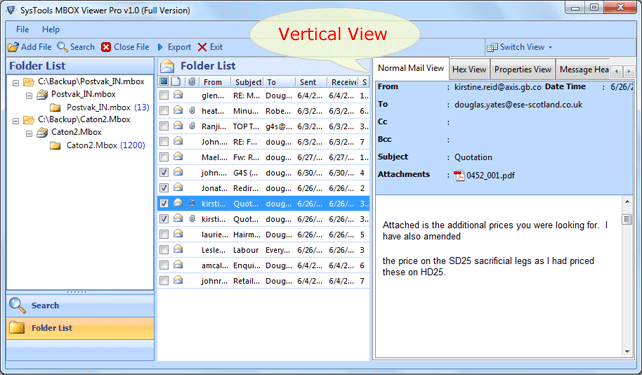 Without any email client installation, you can view and analyze MBOX file efficiently. You can easily follow all the steps that are laid down by the software. The interface is so user-friendly that a non-technical person can also easily follow it without any complication. I have files of gigabytes in size. Is there any limitation to the file size which I can open using this tool? The tool does not specify any such limitation. You are completely free to view any number of emails according to your requirement and convenience. I have a number of MBOX files. Can I view all those files together by using this software? You cannot add multiple MBOX files to view them all together. Perhaps you can add each MBOX file and view them one by one. "While conducting forensics investigation, often there is a requirement of a tool which would help to analyze MBOX file without any installation of file supporting email client. I am deeply impressed with the working of this tool and I consider it as a valuable source for carving suspected evidence." "Such a competent mbox database analysis tool, it not only helped me to examine the .mbox files, but also helped me in analyzing all emails & its corresponding attachments. I am thankful to you for coming up with such an awesome software that really comes as a suitable aid in carrying out MBOX email forensics."